Want to leave a lasting legacy for future generations? There’s no better way to do that than by leaving a gift in your Will. Like so many voluntary organisations, we rely almost entirely on our members, not only for their sterling work in organising and running activities, attending meetings and events and joining with workshops and projects, but also for financial contributions and fundraising. The Friends of the Lytham St Annes Art Collection is a not-for-profit charitable organisation (Registered Charity Number 1167075) and we’re making a real and permanent difference. Securing funding to help conserve the artworks, securing the Collection for future generations. What’s So Special About The Collection? The Lytham St Annes Art Collection is among the finest Town Hall Art Collections in the country. What is striking is that this high quality Collection has been amassed purely through public donations. 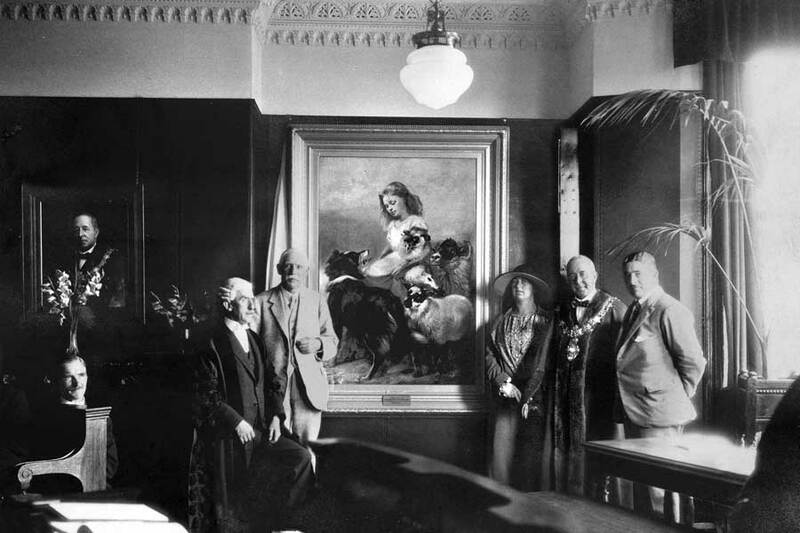 We’ve many paintings by Richard Ansdell and appropriately the first painting to be presented, on 25 June 1925, was The Herd Lassie by Ansdell, which was donated by John Booth (1856-1941), son of Edwin Henry Booth (1829-1899), who founded the famous grocery business Booths, which still operates across the North West of England. “As a seaside resort attracting many tourists we often refer to the ‘jewels in our crown’ as out wide, expansive beach and our glorious parks and gardens, but one of our brightest jewels is the Lytham St Annes Art Collection”. If you’d like to gift a legacy, donate, become a member or you simply wish to find out more about the Friends or the Collection, please don’t hesitate to contact us.